DVD piracy is a major challenge to content producers in Africa. It is estimated that nearly 50% of the over US$500m-a-year revenues in Nigeria’s entertainment industry Nollywood is lost through piracy. Despite recent efforts to supply content in an organised manner over the internet, the DVD market continues to thrive because of poor bandwidth and high internet costs in most parts of Africa. A Nigerian company has developed small internet broadcast boxes that allow users to access content offline and share it with others. Through the boxes, which are being deployed in Nigeria, Nollywood producers are able to release content securely and directly to users and monetise their product either by making customers pay for it or selling advertisements with the content. The small device developed by OTG Playa enables content providers to convert their content into software and bypass internet constraints. Co-founders of OTG Playa Modupe Ajibola and Michael Oluwagbemi told How we made it in Africa they were inspired to build the device, named Storm, to solve the “frustrations Africans face when trying to go online”. “The issue of internet bandwidth has always been something that challenged me when I came to Africa and tried to get online,” says Ajibola, who has over 10 years experience working in technology in the US. “Most people in the US, when they are confused about something they go online and Google it, and You Tube and they stream videos to learn it. Africans did not have the same opportunity. They were missing out on this because of the cost of that network and the slow bandwidth,” he adds. The duo met in 2011 and began building the device which was launched commercially in August 2012. “OTG Playa allows you to distribute content without having to go online. You connect to it the way you connect to a WiFi port and all you need is to have an OTG Playa application that allows you to buy the content, watch the content, share it as much as you like if it is free content and even get rewards to buy premium content,” says Oluwagbemi. OTG Playa is in partnership with two content providers in the entertainment space in Nigeria which provide the content. So far, they have sold 25 boxes and have orders for 500 more from the Lagos State government which intends to deploy them in secondary schools across the state. The devices will be used to distribute educational content. Commercial customers purchase the Storm for $5,000, while franchise buyers like the Lagos State government buy it at a subsidised cost of $3,000. Oluwagbemi says the company is targeting educational institutions, government and entrepreneurs who want to use it to distribute content, as well as construction companies which can share drawings and other data with staff offline. “Construction companies move a lot of data. Imagine if you came early to work in the morning and you are in the field where there is no access to broadband and you need to share what you are doing with your colleague; you can use this device,” says Oluwagbemi. The biggest challenge OTG Playa currently faces is getting people to adopt the technology. 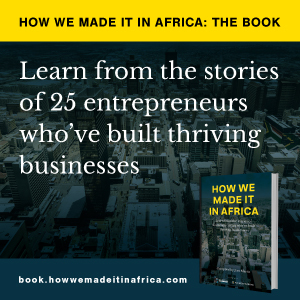 “Like any business in Africa, it’s about adoption. Right now we have 10 kiosks deployed in Lagos on pilot… slowly but surely we are moving up the adoption ladder as people get to know about the brand,” says Oluwagbemi. OTG Playa has raised more than $120,000 from angel investors and has won more than $100,000 in grants. According to Oluwagbemi, the company is currently in negotiations with a number of venture capital investors. OTG Playa was one of a few hardware technology companies that launched at last week’s 2013 Demo Africa conference in Nairobi, Kenya. While Africa is building a reputation in software technologies, the continent lags behind in building hardware. Oluwagbemi and Ajibola attribute this to the lack of physical facilities to support hardware development in Africa. “It is a capability problem; for you to be able to make a leap to hardware development you must have software on one end but you must also have physical facilities. You need a fab room (fabrication plant), you need design studios [and other] facilities which are basically not available in Africa. Unfortunately, even our universities don’t have these labs. The only labs you see in Africa are testing labs, however, there is an opportunity I believe down the road,” says Oluwagbemi. In the coming years, Oluwagbemi says he expects to see more companies in Africa investing in hardware, as well as the entry of talent and facilities for hardware development coming from the US, Europe and Southeast Asia.